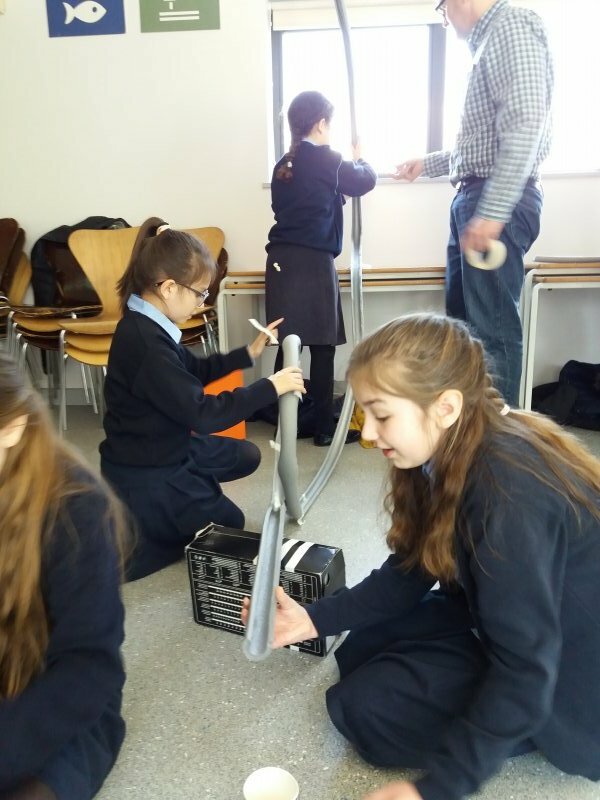 3rd class have been very busy recently. 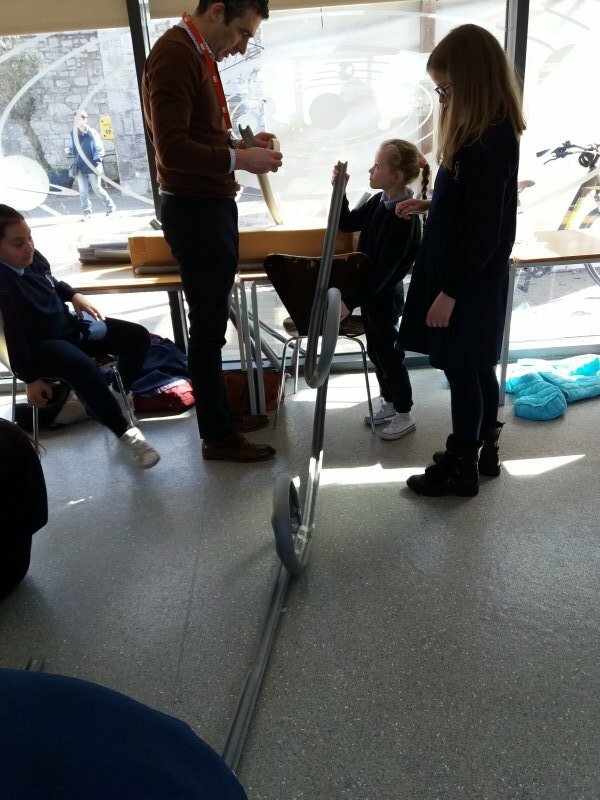 First they got to go on a trip to Blackrock Castle, where they got a tour of the observatory. 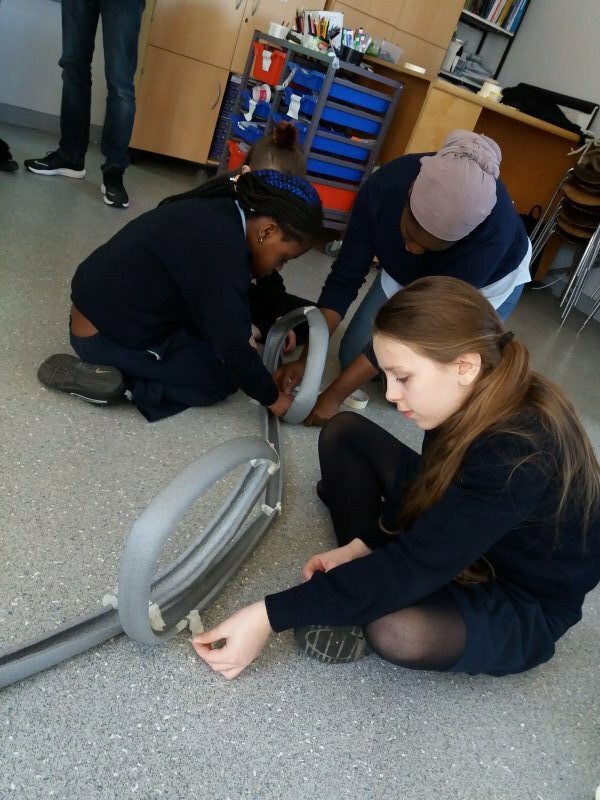 Afterwards they worked with engineers from PM to make roller coasters. 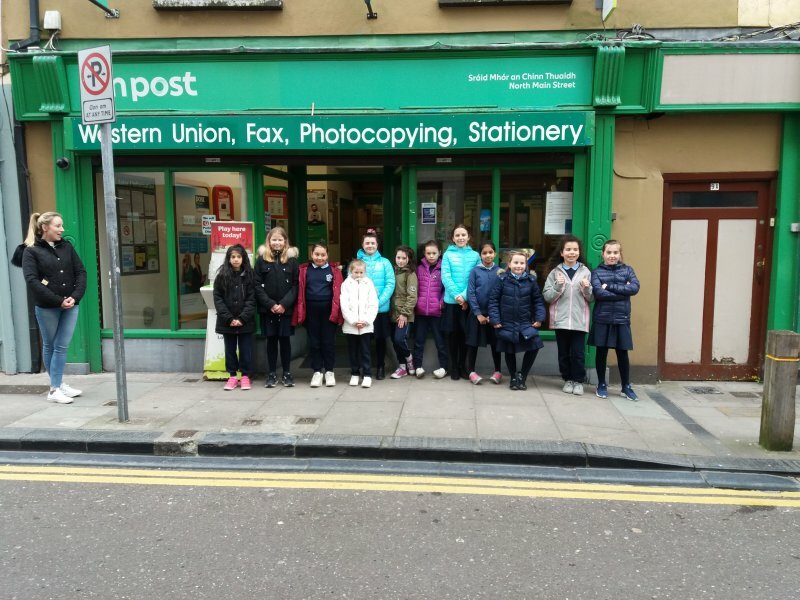 Later on in the week they walked down to the post office in North Main Street where they posted postcards which they wrote to pupils in another school. Our March assembly was held last week. 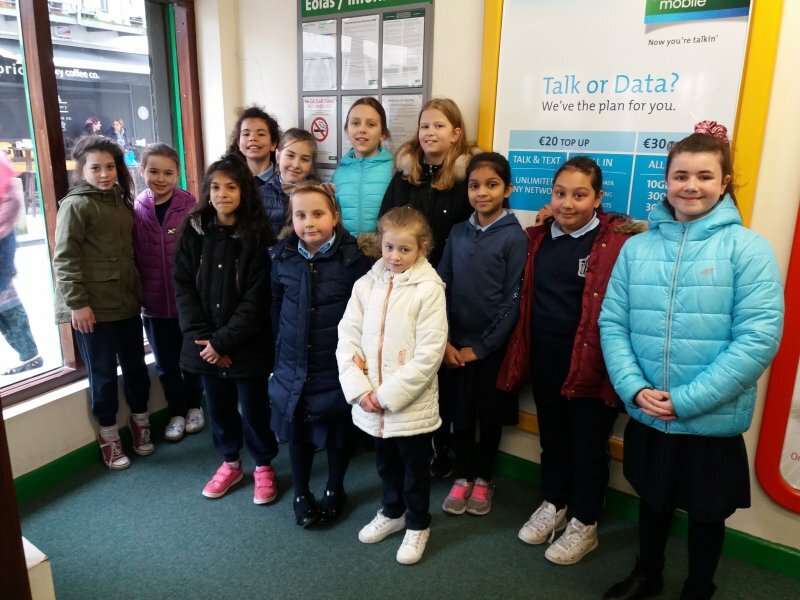 4th class choir treated us to a performance of two of their songs which they performed earlier in the week with The Cork National Children's Choir. Everyone was so proud of the work that the children and their teachers put into learning and performing the songs. 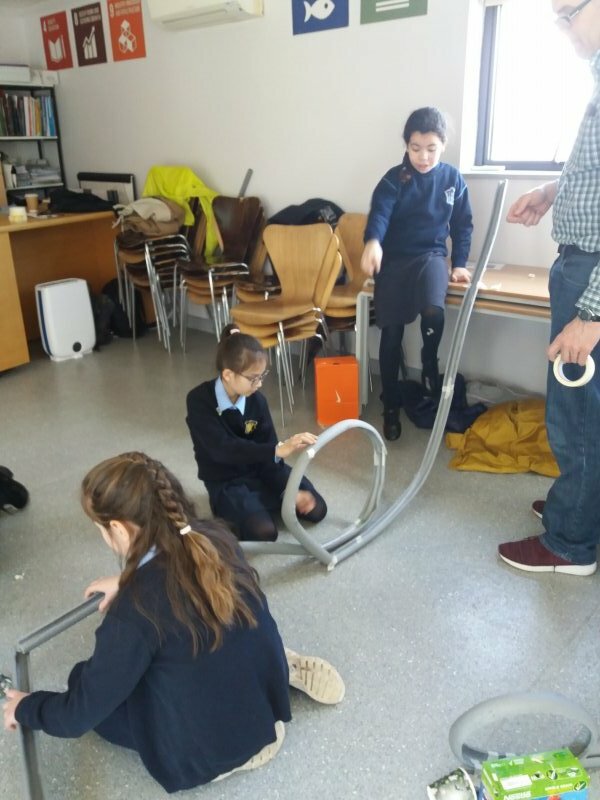 The kindness award for the month went to two girls from 4th class, while Ms Coleman had some special awards for some girls who made a big effort while helping planting some flowers that we will see sprouting up around the school in the next few weeks. The children from 1st class had a very important quote of the month. Ms. Murray told the younger classes about the "in it to win it" initiative, where children from infants will have to the chance to enter a draw for an Easter Egg by coming into school for the next two weeks. 2nd class ended the assembly with a beautiful performance of a "Million Dreams" which was enjoyed by the whole school. 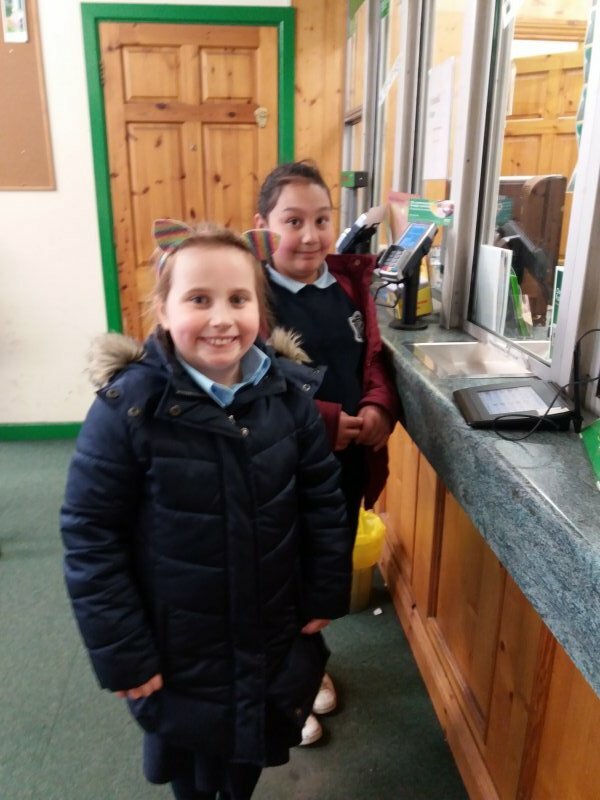 Twenty of our pupils from Junior Infants to Sixth Class won the 100 Days Attendance Challenge by being in school everyday for the first hundred days of the 2018/2019 school year. As a reward they went bowling in the Leisure Plex. The monthly assembly for February was held this week. 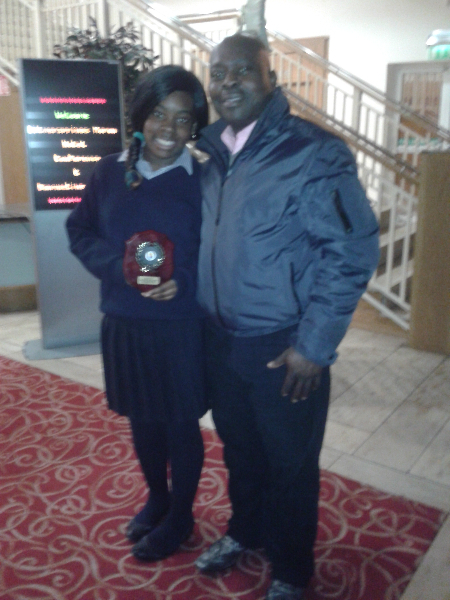 There was a special award for a 6th class girl for the superb job that she did when she was a Lunchtime Pal before Christmas. Senior Infants performed a song about the animals in the jungle. Ms. Murray told the school about the upcoming Dress up day for World Book day. The Health Promoting School committee had some very exciting news for the classes about the upcoming Brunch Club where each class in the school will get a day to go to the Parent's room and enjoy some nice treats. It also will give them a chance to chat with the classmates in a relaxed setting. Ms. Whelton's 2nd class had our quote for the month reminding us to just be ourselves. The Kindness awards for the month went to children in the Junior Infant classes. Their teachers picked these children as they showed kind gestures to their classmates. Ms. Murray also called up the 20 children who missed no school during the 1st 100 days of the school year. These children will enjoy a trip bowling in the coming weeks. 3rd class have been very busy lately sprucing up the garden and flower boxes around the school. The spring flowers are a lovely welcome to the school. 3rd class are doing procedural reading and writing during First Steps in their English lessons. To put some of this into practice the class went baking chocolate chip cookies recently. They had to make sure to read the recipe step by step to ensure the cookies tasted perfectly. Our monthly assembly for January was held recently. Ms. O Leary's class told the school about an aspiring St. Brigid and how she never gave up. The Kindness award for the month was given out. Ms.Byron's class performed a lovely poem and song in Irish as well as showing the school some of their Irish dancing skills. 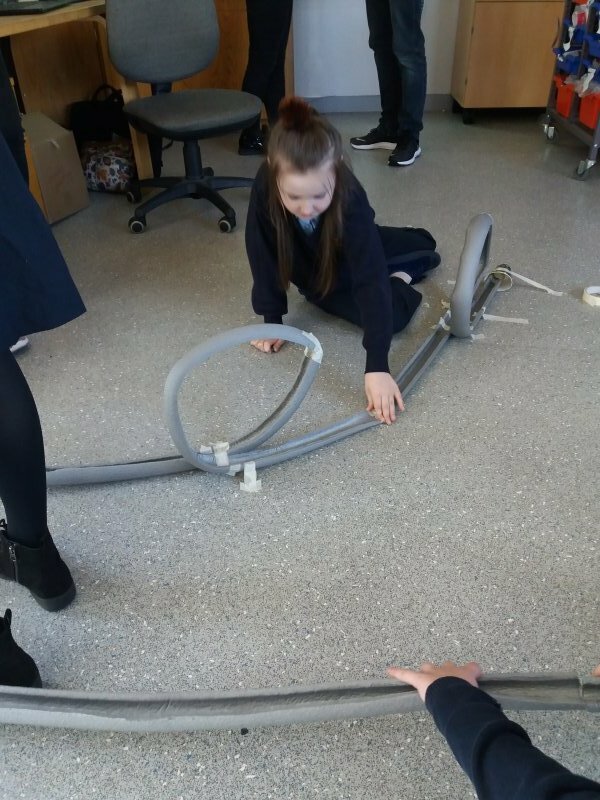 3rd class have been very busy recently learning about volcanoes. After identifying the different parts in the volcano and learning about the eruption that happened in Pompeii, the class worked together to make volcanoes. They used old water bottles and paper mache to build the crater and outside of the volcano. Next week they will paint their volcanoes before making them erupt.